The lead singer, songwriter, and guitarist for award-winning contemporary Christian band Tenth Avenue North shows readers that by seeking God first and focusing on serving Him, we can live daily in His will. "Perhaps God isn't giving me the plan because He wants to be the plan." 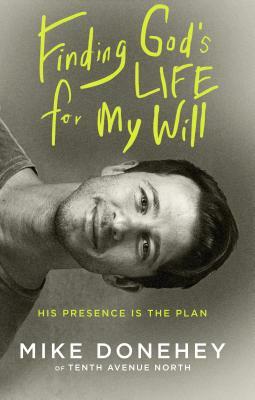 This was the aha moment for Mike Donehey after years of wrestling with his obsession to know God's specific plans for his life. He came to the realization that waiting for absolute certainty from God before making decisions may seem uberspiritual, but it can lead to a life of intense stress, paralyzing fear, and crushing regret--just the opposite of the freedom granted to those living a Christ-filled life. "This is my story...how I gave up begging to know God's will and began to ask His life to come and change my will." With his signature humor and relentless hunger for God, Mike will show you that discovering the Father's purpose and plan for our lives is not the shell game that we all too often make it out to be. If you're unsure what to do next, take heart and accept the ultimate invitation: learn to see God as the plan, not simply the formula to the plan. MIKE DONEHEY is the lead singer, songwriter, and guitarist for the Christian rock band Tenth Avenue North. Since 2000, he has been sharing the truth of the gospel in front of millions of people through song and speaking. Mike, his wife, Kelly, and their four daughters live in Nashville, Tennessee.